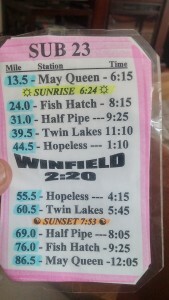 Leadville was my first 100-mile race in 2012. I finished, but it wasn’t pretty. On the other hand, I learned a lot. Since then, I finished fourteen more 100s, including four Leadvilles, which probably doesn’t qualify me to share a few pieces of key advice with first-timers. Here they are anyway. Read at your own risk, and feel free to ignore them! 1. Sign up in December, as soon as registration opens. Nowadays, this means throwing your name into the lottery hat. 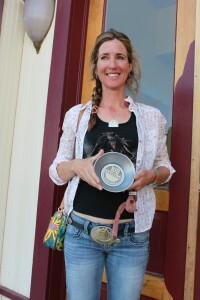 Don’t bet on unfavorable odds – Leadville allows 800 participants, so your chances of getting in are actually pretty good. Once you do, share your excitement and/or your panic with all your friends. Of course you want the big buckle. Consult extensively with your mentors, and come up with an ambitious and detailed training plan for the next few months: base building, high mileage, tons of vert, altitude training, strength training, tune-up races, and finally a taper period. 2. Proceed to ignore that training plan because of winter weather, holiday travel, work commitments, February snow storms, injuries, the flu, March snow storms, family commitments, April snow storms, freaky May snow storms, and other excuses. In late July, have a couple of anxiety attacks. Wake up in the middle of the night drenched in cold sweat from nightmares that involve zombie llamas and lots of puking. Then ramp up your mileage during the final three weeks. Tapering is for sissies! My 2015 race plan, pocket edition. I did not have this in 2012. 3. Don’t bother with a race plan, beyond “I WANT THE BIG BUCKLE!! !” scrawled in all caps across your brain. Sure, the 799 other runners have worked diligently on their spreadsheets for months, but just because they have such a document doesn’t mean that you need one, too. Especially if it’s your first 100. If you do decide to write a race plan, limit yourself to a few handwritten notes, and put them in the pocket of the jeans you leave at home in the laundry basket. 4. Don’t bother with crew instructions. Your long-suffering crew captain/husband should be able to guess where you will be when, and in what kind of shape. His telepathic abilities alone should tell him what you need or don’t need at each checkpoint. He should also figure out on his own that you didn’t really go through the huge duffel bag with all your ultra stuff to lighten the load he lugs to every aid station. Besides, who knows? You might need the three rolls of ductape, extra drop bags, and that pile of old batteries you didn’t get around to recycling yet. 5. Don’t bother to reserve a room early. Why should you? Surely not because 800 runners, plus their pacers, crew and assorted family members, will be in the tiny town of Leadville for race weekend. Sharing a twin room the size of a walk-in closet with three other people will be a bonding experience. Contrary to popular belief, a good night’s sleep is totally unnecessary before a 100-mile race. 6. Pack your drop bags according to a system only known to you, not your crew. This will force you to spend more time than necessary at each aid station, looking for things in unlabeled little ziploc baggies. 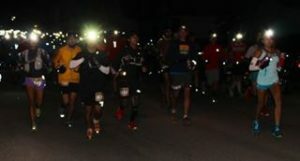 The suspense will make the race more exciting, especially at 2 AM, as you ask yourself existential questions, like: Did I bring extra batteries for my head lamp, or did I not? 7. The 4 a.m. start is exciting. Use that extra energy to go out with the fast people! 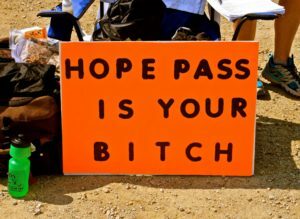 You do want that big buckle, plus: this is your chance to hang for a couple of blocks with the elites of ultra running. If you feel the irrational urge to make up for lost time early in he race, even though, not having your race plan to consult, you can’t be sure whether or not this is true, go ahead. Feel free to hammer straight, steep, long downhills before mile 25, like Powerlines. Your quads will thank you later. 8. 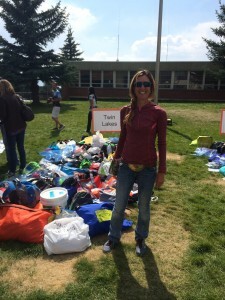 Don’t bother to make sure your hydration pack is full after leaving an aid station. Blindly trust any volunteer to know the quirks and peculiarities of your pack, even if it took you several months to figure them out. Checking that the bladder is really closed might cost you precious nanoseconds, which you can’t afford if you want that big buckle. Besides, your imaginary superpowers will hydrate you once you run out of water halfway up the mountain. Allen and I heading out from twin Lakes. 40 miles to go! 9. If you get sick of clif bloks by the time you reach Twin Lakes outbound at mile 40, you don’t need a backup nutrition pan. It’s ok stop eating altogether. Just use your special superpowers for fueling. Then, because these superpowers are imaginary, bonk hard on the return climb up Hope Pass. Spend 45 minutes or so slumped in a chair at Twin Lakes inbound, trying to get some calories into your depleted body. Calculate that you now need to run 40 nine-minute miles to still get that big buckle. Bolt out in a panic, nearly forgetting your head lamp. 10. 11. Feel searing pain grip your quads by mile 75. You can’t figure out why, though your wiser, more experienced pacer suspects your earlier Powerlines descent might have something to do with it. Whine and complain until your pacer regrets ever meeting you, then accept reality. Say a tearful good-bye to the Big Buckle Dream. Slow down to a walk. Proceed to cover the last 25 miles at a Death March pace that would embarrass a geriatric turtle. 26 hours, 50 minutes, and 102 miles after the start. 12. Cross the finish line hours after you had imagined, but still in plenty of time for the smaller sub-30 hr buckle, which is much more wearable anyway. Feel humbled. Feel grateful. Feel intensely alive. Laugh. Cry. Hug Merilee. Hug everyone in sight. They won’t mind that you smell like someone who has been out running for almost 27 hours. Fall asleep at random, inopportune moments, like while thanking your crew, your friends, and your family members for putting up with you. Whether it’s your first Leadville, or your fifteenth – good luck to you! Please run smarter than I did in 2012. 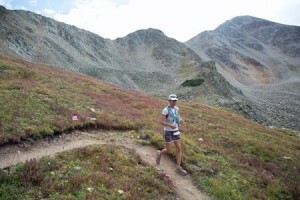 It is a good time to be alive and running, in Leadville or elsewhere. 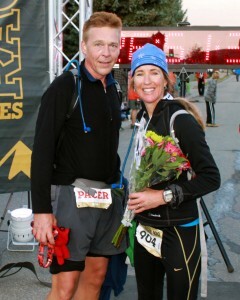 Third in my age group. This entry was posted in Uncategorized on August 11, 2016 by silvakat. You are too funny and I can totally relate! Good one! Thank you, Marie-Helene. 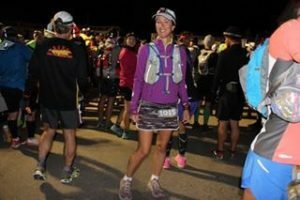 Will you be at RunRabbitRun this year? About to pack for my first 100 at Leadville. I stole your race plan, FYI. Also, can I bother with a question since I don’t know anyone running – how strict at they about “clear bags only” for drop bags? Looks like there are a LOT of solid bags in your photo. A great read for a first timer – thanks for writing that. Haha. I hope that plan works out well for you 🙂 The drop bag rule is brand new. Until last year, any color was fine. I have no idea why they changed it. Leadville seeems an unlikely target for terrorism. There are some reasonably priced, sturdy-looking clear duffel bags at Amazon. Good luck next weekend!